A grieving father who exposed a baby deaths scandal at an NHS hospital has resigned from a national review of maternity care after claiming he came under attack from midwives. James Titcombe has left the NHS review because he felt that the views of parents whose babies had been harmed or died on maternity wards were being ignored. The review, which is looking at standards of maternity care across the country, was set up after a damning inquiry into a series of deaths at Furness General Hospital, part of the Morecambe Bay Foundation Trust, between 2004 and 2013. Mr Titcombe’s son, Joshua, died in 2008, at nine days old, from a serious infection which midwives repeatedly failed to spot and treat. His observation chart went missing and was never found. A coroner later accused midwives of “colluding” in a cover-up. 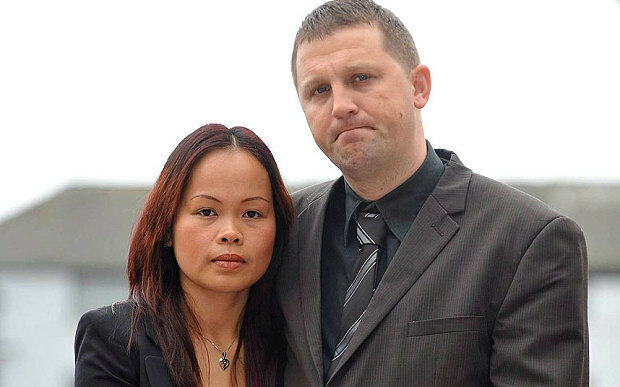 James and Hoa Titcombe attend the inquest into the death of their baby son Joshua Titcombe who bled to death nine days after his birth in October 2008.